Roughly an hour from Cartagena, the city of San Basilio de Palenque feels a world away. 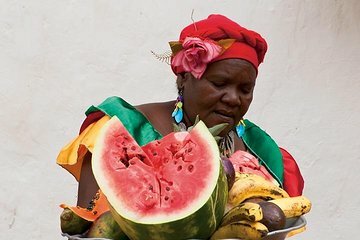 The city is a hub of Afro-Colombian culture, and has its own distinct art, food, and language that draw together elements of Colombian, Spanish, and African traditions. This tour not only streamlines transportation to the somewhat remote town, but also includes a guided walking tour packed with interesting information.